Tuesday, Frocktober the 1st! 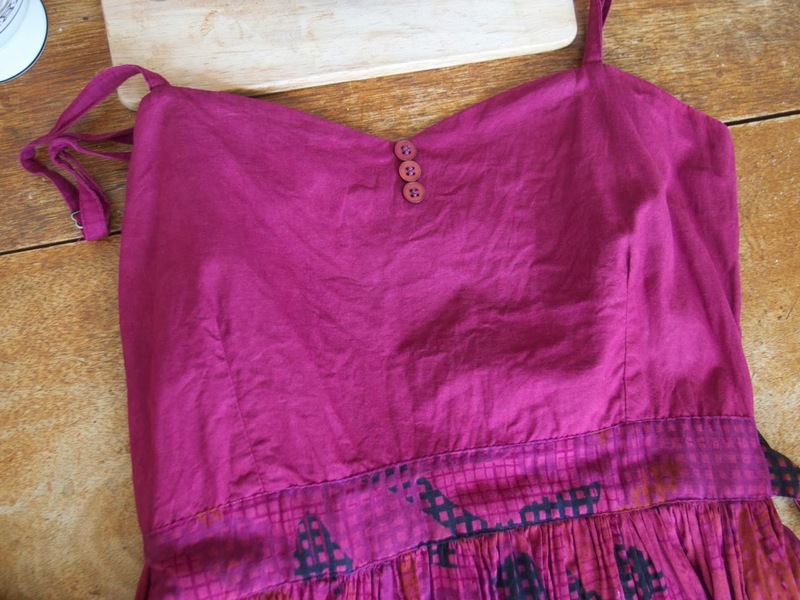 Hand-dyed sundress. Today on the first day of Frocktober, I'm wearing a very old dress from Tree of Life that I dyed yesterday! 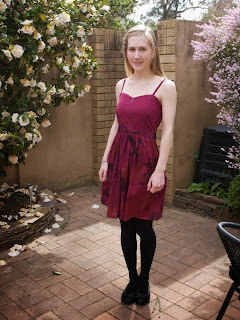 Here's a link to my last Frocktober when I wore it. This is the dress before I dyed it. Very faded in weird patterns! 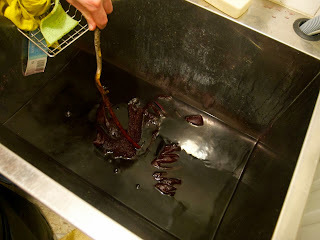 The skirt was white with interesting yellow, purple, red, and black patterns. 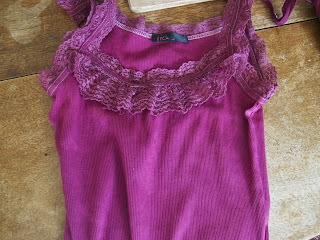 I used some Rit dye I got an Lincraft to dye my very faded patchy dress a nice strong wine colour! Once dried this is what it looked like! Turned out pretty nice! And here's my "white" singlet top. 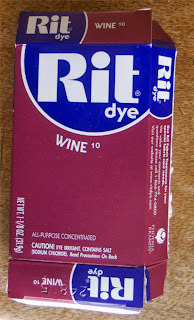 The only thing that didn't take the dye at all was the polyester thread, which is annoyingly apparent. It's weird how the lace turned out a slightly different colour, but I guess it's a different fibre content. 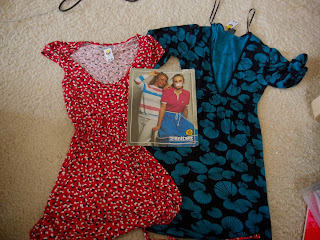 And then I went to the op shop! 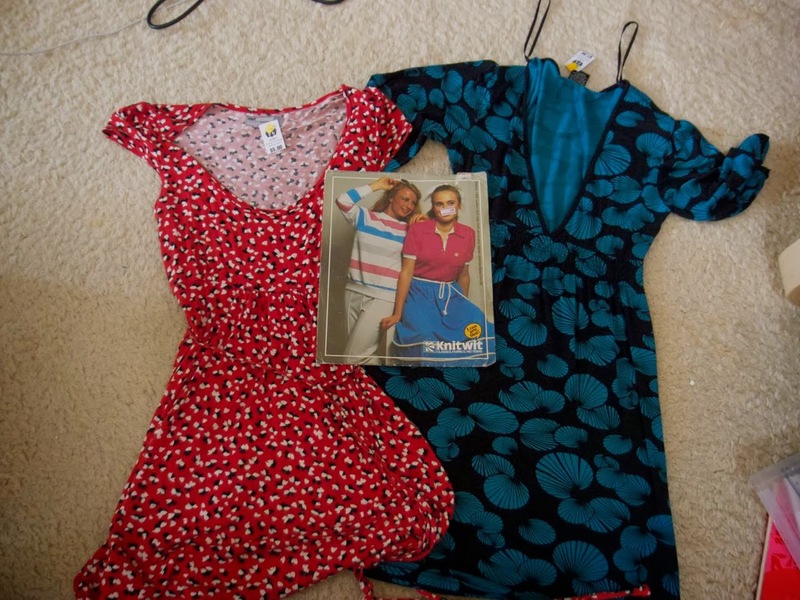 I bought the following: a KnitWit pattern for a jumper, and two stretch dresses. They're both too big, but that's okay because I'm going to use them for UNDERPANTS! How was your first day of Frocktober? Would you like to donate to my cause? Click here to help! I love the way that dress turned out after your dye session. 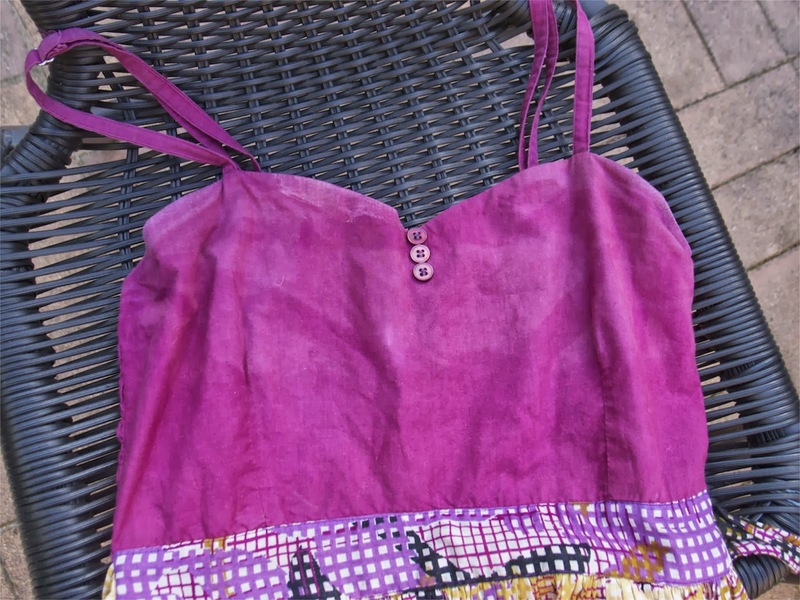 I've been meaning to have a bit of a play with different dyes and fabrics (I'd really like to dye some of my vintage undergarments) but I just haven't gotten around to it yet. I had put this off for literally a year so I know what you mean! It was a lot of fun, you should try it!